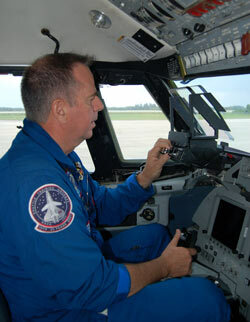 Jack “Trip” Nickel, a NASA Research Pilot helped train space shuttle commanders and pilots to land the orbiter as it is returned from space. 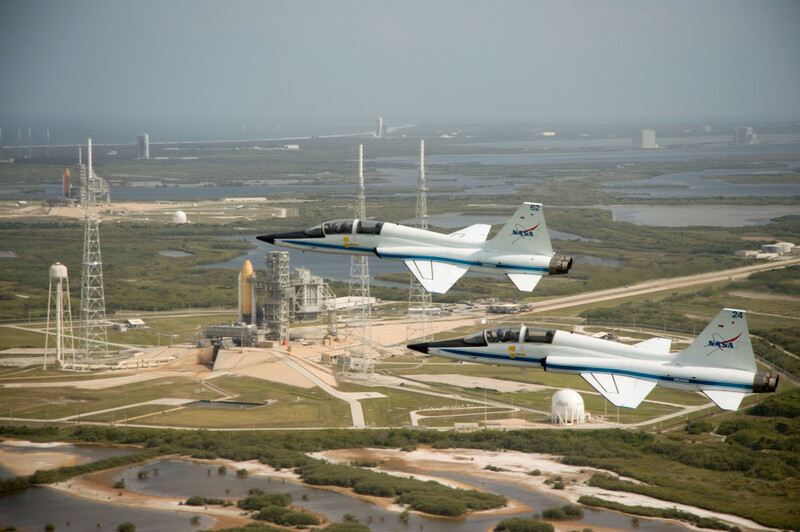 17 April 2009 — NASA pilots Jack Nickel (in the jet with tail number 62) and Charles Justiz fly over for a bird’s eye view of two shuttles on the launch pad. Shuttle Atlantis (STS-125) is in the foreground and Endeavour (STS-400) can be seen in the distance on the launch pad at NASA’s Kennedy Space Center.